Seattle Opera is pleased to offer tickets to furloughed federal government workers. Workers can receive two free tickets to the company’s performances of Il trovatore on Sunday January 20 at 2pm and on Wednesday, January 23, at 7:30pm at McCaw Hall at Seattle Center, 321 Mercer St, Seattle 98109. To redeem, simply present your federal government ID at the McCaw Hall box office before the performance. The box office opens two hours prior to performances; noon for the matinee and 5:30pm for the evening show. “We at Seattle Opera are grateful for all that our federal workers do, and wish to show our solidarity and thanks by inviting them to enjoy a night of beautiful music at McCaw Hall,” said General Director Aidan Lang. 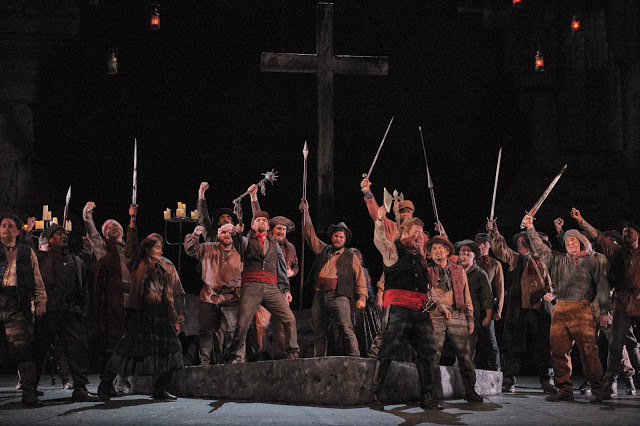 Seattle Opera’s Il trovatore runs now through January 26 at McCaw Hall. Established in 1963, Seattle Opera is committed to serving the people of the Pacific Northwest with performances of the highest caliber and through innovative educational and engagement programs for all.